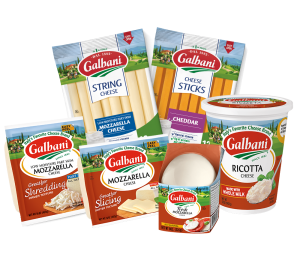 A tasty and unique way to enjoy an Italian classic. 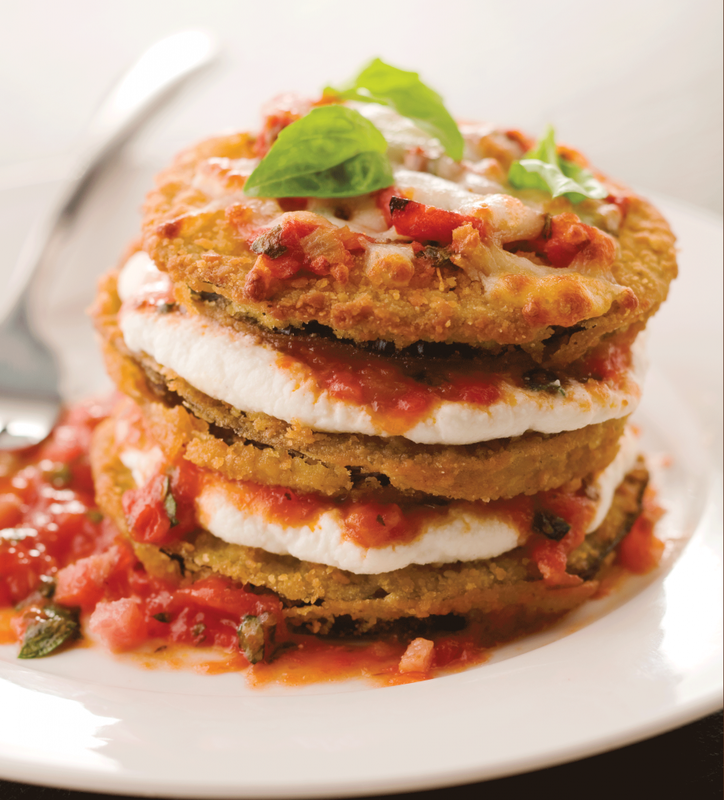 The eggplant cutlets are a perfect compliment to the zest of red pepper and the creaminess of the mozzarella cheese. This recipe will surely become an instant family favorite. Bake eggplant per package instructions, reserve. While eggplant bakes, make sauce. Heat pancetta in a medium saucepan on medium heat until rendered and crispy. Add white wine and cook for 2 minutes. Add red pepper, tomato sauce, and parsley. Simmer for 5 minutes. Reserve. Season ricotta with salt and pepper in a small bowl. Reserve. To assemble, spray a 9″x13″ inch baking dish with cooking spray. Spread 1 cup of the sauce on the bottom of the dish. Layer 1/3 of the eggplant, followed by half of the ricotta, and 1 1/2 cups sauce. Layer the next 1/3 of the eggplant, remaining ricotta mixture, and 1 1/2 cups sauce. Top with the remaining eggplant, sauce, and mozzarella. Cover with aluminum foil. Bake for 40 minutes. Remove foil and continue to bake until top is browned, about 10 minutes more. Be sure to sprinkle some salt to the eggplant cutlets to remove any overpowering bitterness.